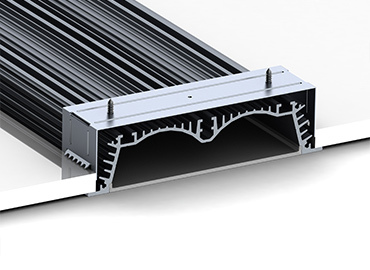 The group of aluminium LED profiles presented bellow has been segregated by the installation type. 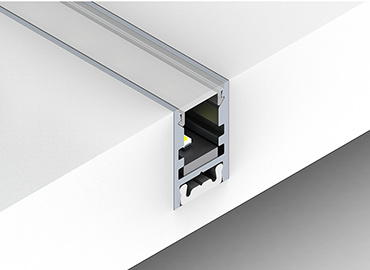 All models presented here are suitable for a recessed installation. According to the shape of the profile, some of them has been designed to be built into a gypsum ceiling, some to the floor, wall and others into the furniture, shelves or cabinets. 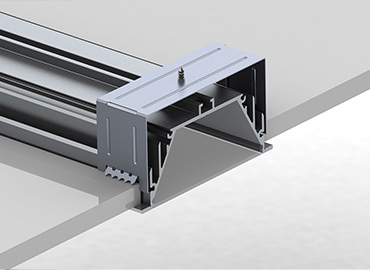 Small size profiles can be installed with a thermo conductive adhesive tape/glue and bigger models has own independent mounting brackets. Customer has a large variety of products: from very small lamps, through the medium, up to large size lamps. Surface of aluminium body has very fine finish. The diffuser is made from a certified material and UV stabilised. 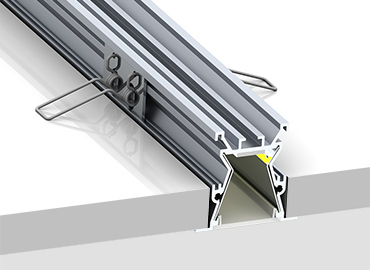 All our accessories are made from aluminium in a color matching to the profiles. 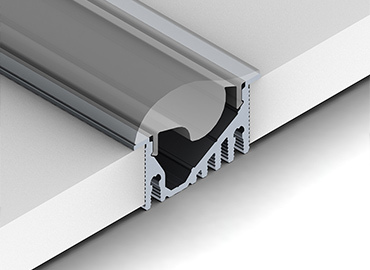 The shape and weight of the aluminium LED profile play a key role in the heat dissipation from the LEDs. All our models are made from fast heat transferring aluminium and pass the certain loading tests. The thermal and optical test results as well as installation guide are presented in our product data sheet for each model. 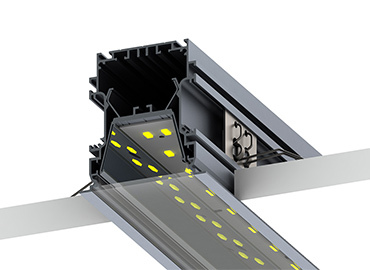 Thanks to the thermal and optical optimisation, the use of our LED profiles is safe for the LEDs. Please find more details in the product data sheet of each product. The RSLW20 FL profile is another product designed for maximum optical efficiency. The profile can be equipped with special reflectors made of aluminum with a high light reflectance, which definitely increase the outgoing light beam. 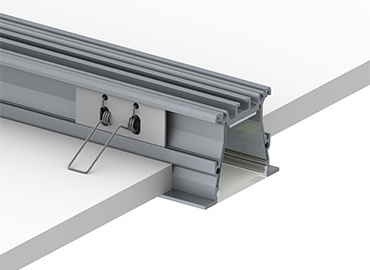 This is an improved version of the popular RPLW80 profile for recessed installation in plasterboard ceilings. While maintaining the luminous surface, the light distribution was corrected and the luminosity of the lampshade was adjusted using reflectors made of high-polished aluminium. 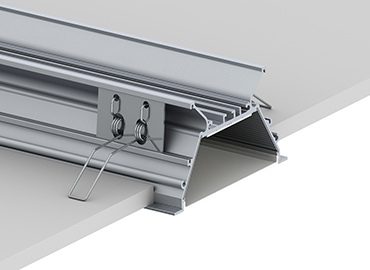 It is a narrow, high-quality aluminum anodised profile for plasterboard ceilings. The profile is equipped in reflectors made out of high-polished aluminum for a better light distribution. 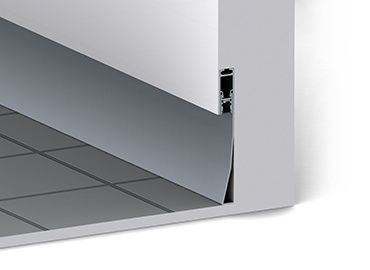 Alu-Baseboard - LED Profile for a moody floor LED lighting. 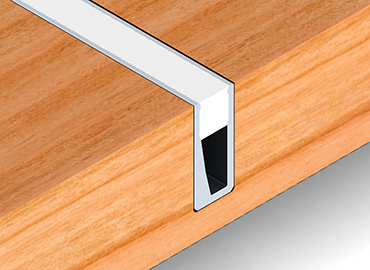 The Alu-Baseboard profile is a two-part component product. RPLW116 is a new recessed architectural design LED profile with an extra wide diffuser of 116mm and extra wide (160° degree) light output angle. This unique profile is equip with the special engineered crafted Asymmetric optic lens which redirects the light beam at the angle of 55/65' degree to the side. 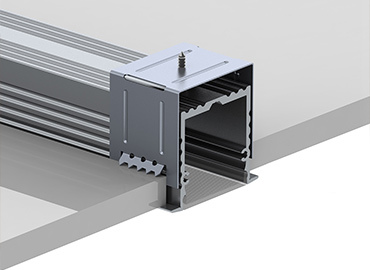 It is a recessed version of a popular profile PLW80. This LEDs DOTS FREE design is dedicated to be recessed into gypsum ceilings and walls mostly but other applications are also possible. 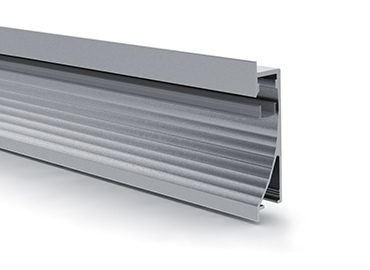 Asymmetrical high quality anodised aluminium LED profile which has been designed to be recessed in the wall. The light of this lamp is directed to the floor. 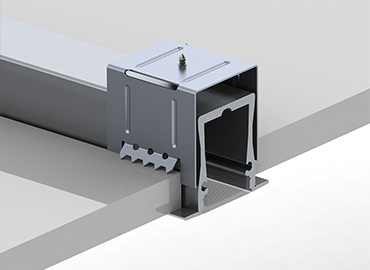 Asymmetrical anodised aluminium LED profile which is dedicated to be recessed into the wood structure walls and direct the LED light to the floor. 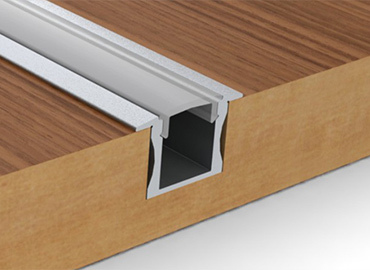 Recessed Slim Line Wide 8mm LED profile it is dedicated to be recessed into any kind of surface. 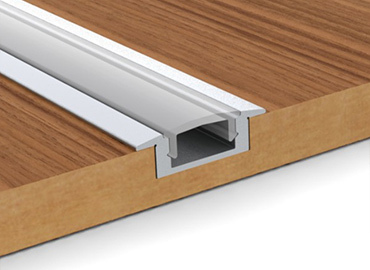 Recessed Slim Line 7mm LED profile it is dedicated to be built-in into any kind of surface. 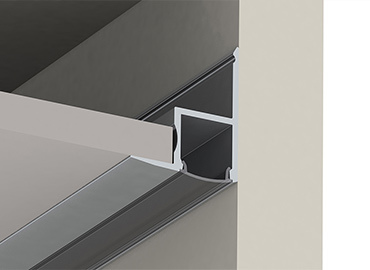 RPLA profile is a recessed version of a profile dedicated to be built in the gypsum ceiling, wall or any other surface. It might be considered as the main source of light due to the high load capability and the very good heat dissipation. 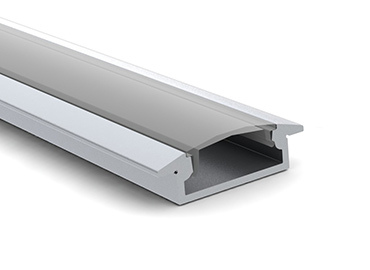 Quality anodided aluminium LED profile designed to be recessed into a cluster or gypsum ceiling. 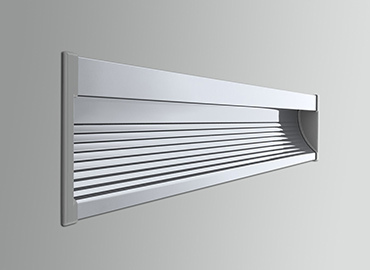 Recessed type of the architectural design of minimalistic LED profile dedicated for wide LED stripes up to 18mm width. 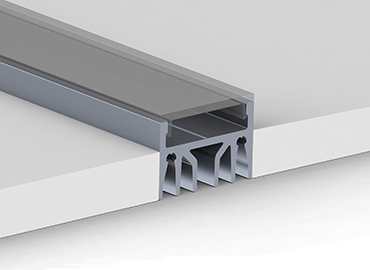 The profile is dedicated for an insertion into the gypsum ceiling or other material as walls, store shelfs or wood furniture.